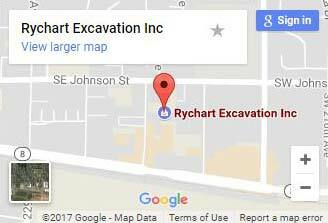 If you are a property owner and have an existing well that is no longer in use and are looking for an effective way to make well abandonment safe and less time-consuming, call Rychart Excavation, Inc. Unused wells require a professional service to abandon properly. Abandoning a well is more involved than constructing a new one. The process requires an experienced service provider that can work with you to provide a holistic, safe, and cost-effective solution. The process requires expertise, experience, and the right tools to perform the job efficiently. We have the right team, resources, and technology to inspect, improve, and perform the well abandonment operation from surface to reservoir. Our experienced team is able to handle any type of well abandonment regardless of the condition. We know how to seal the wells properly and completely. We design the plan depending on the condition while following all legal and technical requirements. Our experienced professionals focus on the safety and quality while providing excellent service. We first verify the cement and casing integrity and use the correct tools to reduce risk to the surrounding environment. Our well abandonment service is customized depending on the situation. After the inspection, we plan an integrated and proven solution. The project manager evaluates all the details and supervises the work throughout the process. We have the required tools and expertise to meet stringent demands to make the process easier, even in harsh weather. We use developed technology to offer an accurate temperature data, pressure, and depth relation to make the job easy and effective. We offer a cost-effective solution without compromising the quality of service. Efficiency is our key objective. We try our best to deliver superior efficiency. Our team is always prepared to respond to unexpected conditions. and we select advanced tools and technology for each application to enhance performance and offer the best service. We perform accurate inspections and discuss any issues with our customers to ensure clear communication and planning.